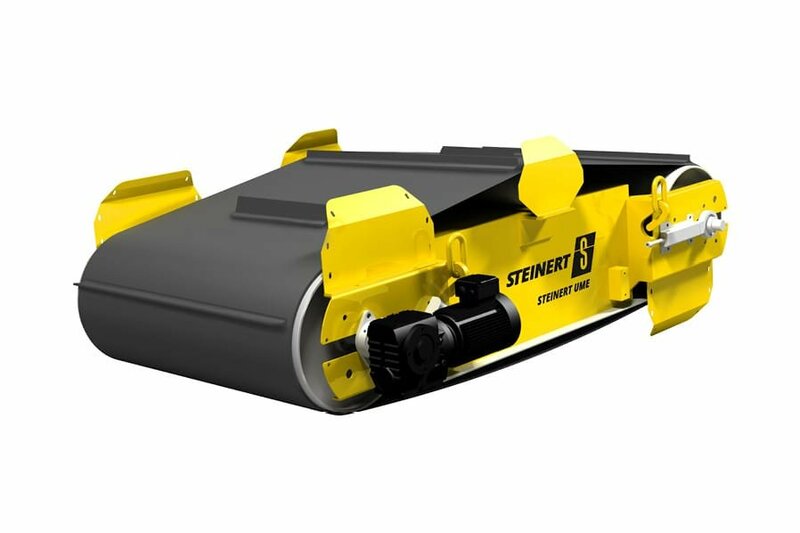 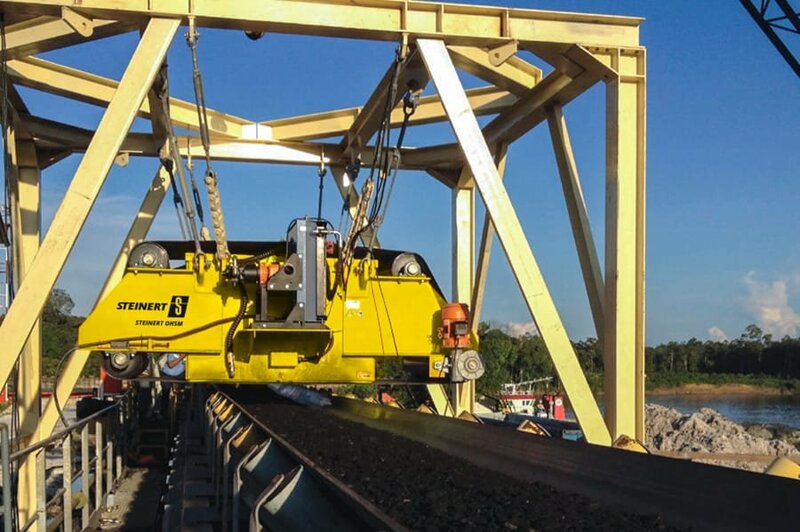 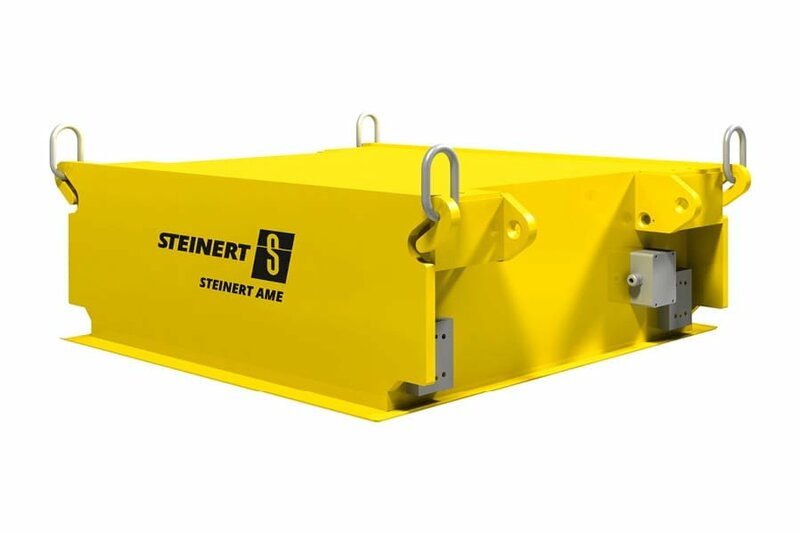 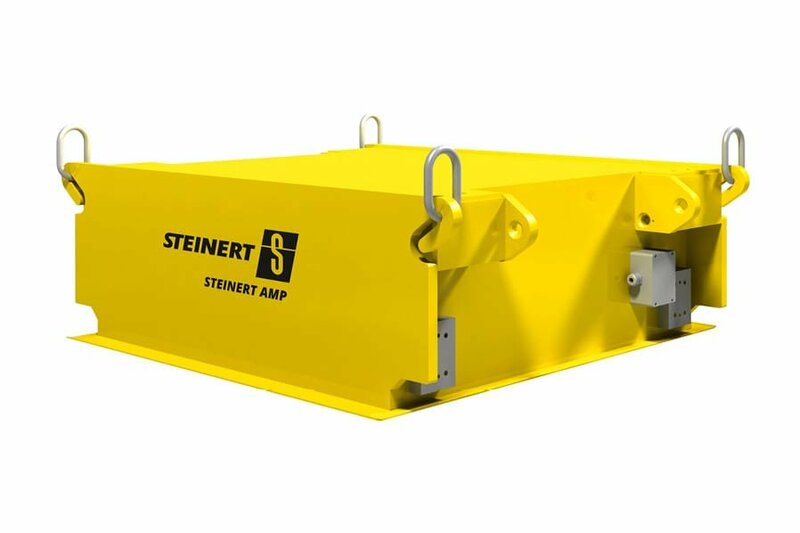 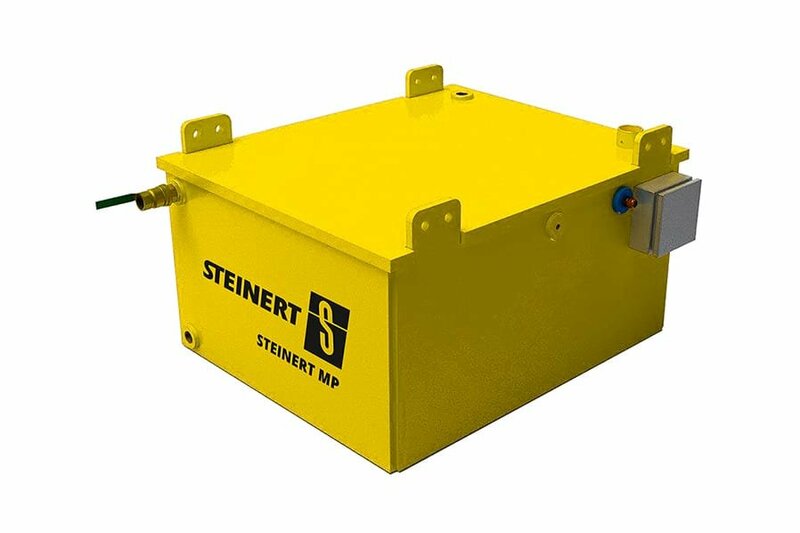 STEINERT overhead suspension magnets have been tried and tested time and time again for their separation of tramp iron, with high belt speeds, large working distances and dumping heights. 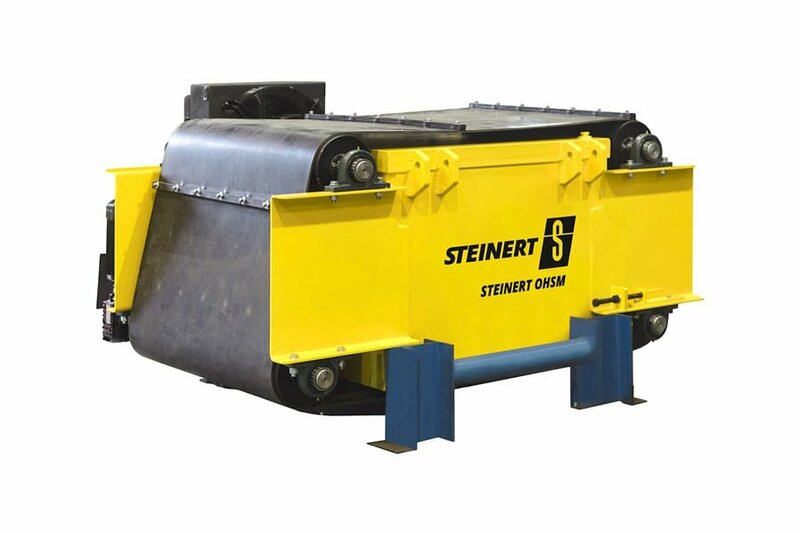 At STEINERT we have continued to improve and refine traditional magnet technology in order to create effective solutions for the diverse requirements of today's material recovery facilities. 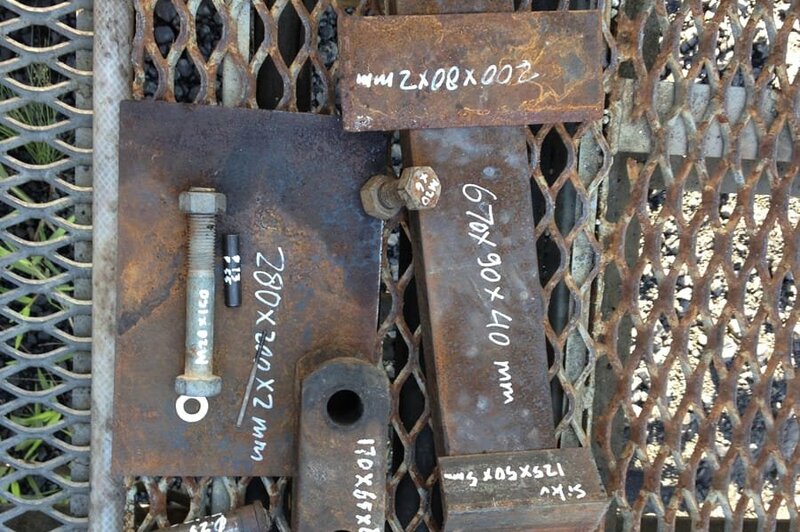 Our advanced overhead suspension magnets have been reliably separating tramp iron from bulk material for many decades. 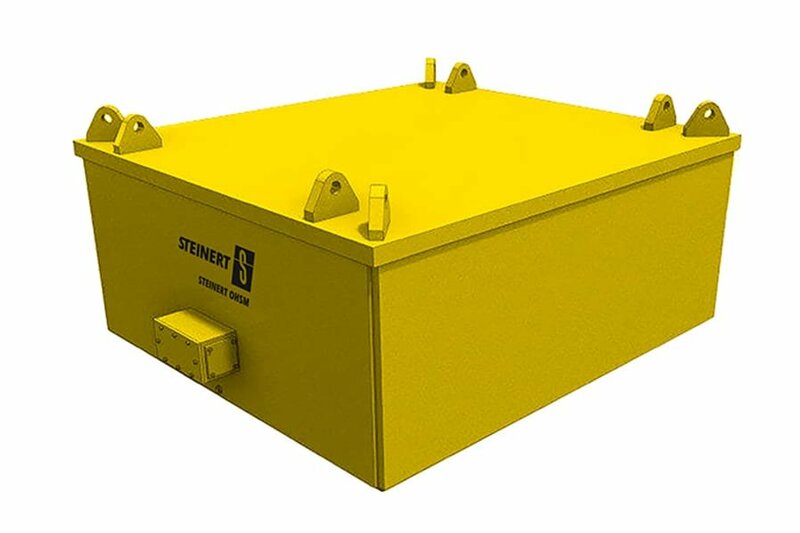 They thus protect crushers, grinders and other processing plant from wear and damage. 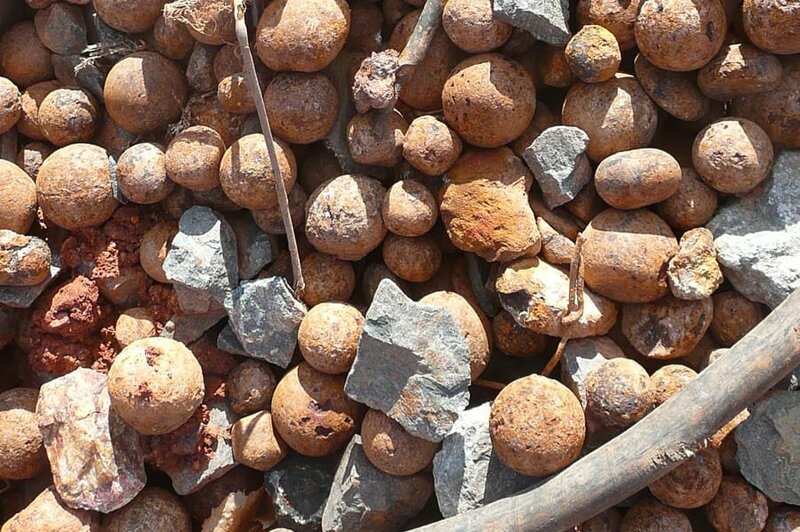 They remove harmful pieces of iron – such as bolts, nuts and rock bolts from coal, coke, ore and other minerals and ores – at very high belt speeds (≤ 7.5 m/s), large working distances of up to 1 m and high dumping heights. 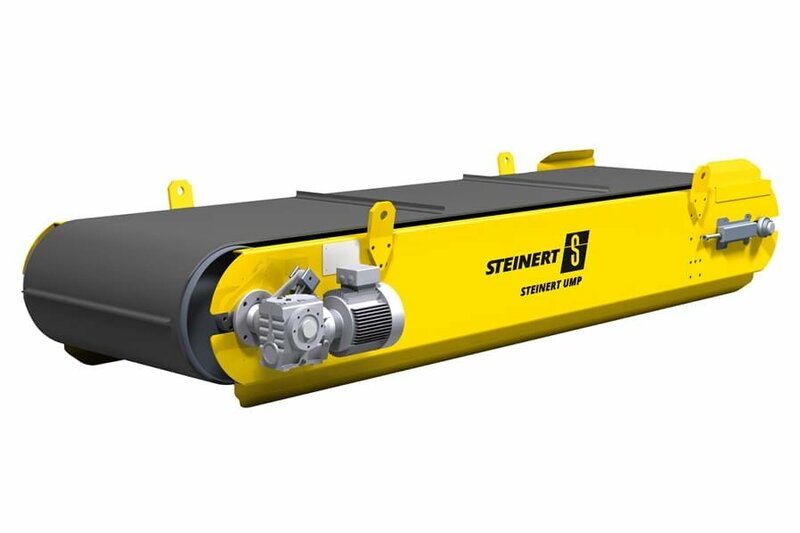 STEINERT self-cleaning overhead suspension magnets remove tramp iron from coal. 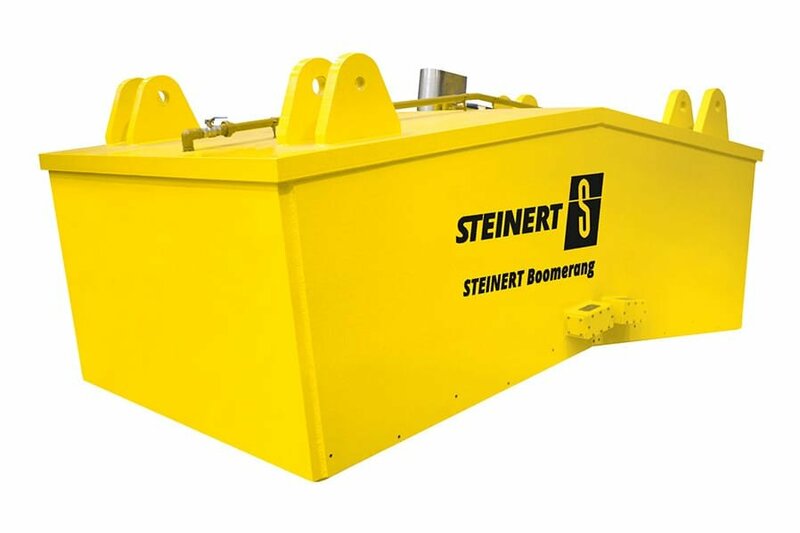 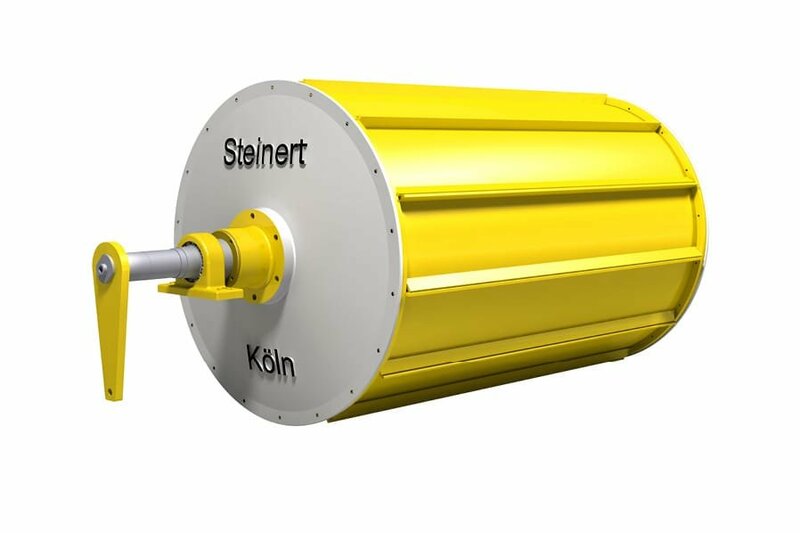 STEINERT self-cleaning overhead suspension magnets remove tramp iron from gold ore.
STEINERT self-cleaning overhead suspension magnets remove tramp iron from coal and thus protect the downstream machinery. 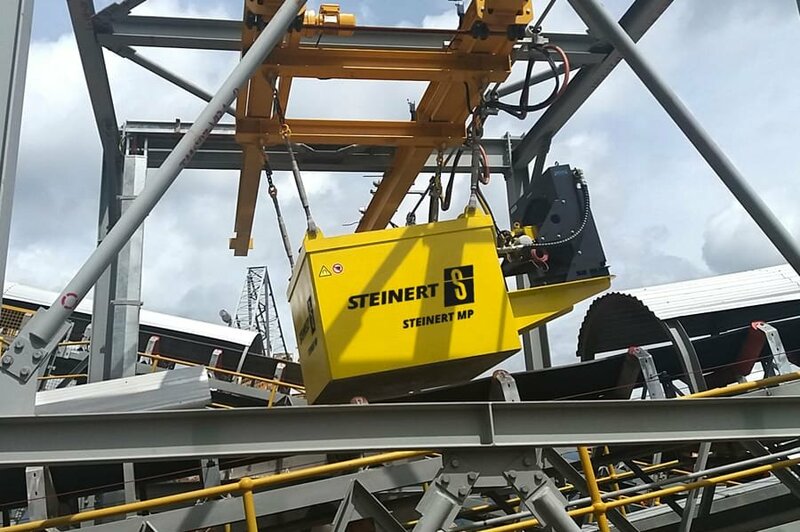 Bild 1: STEINERT self-cleaning overhead suspension magnets remove tramp iron from gold ore and thus protect the downstream machinery.